Interactive Frequency Chart + Sound Effects EQ Cheat Sheet? I stumbled across an interesting post on musiclibraryreport.com. It links to a really cool interactive frequency range chart. 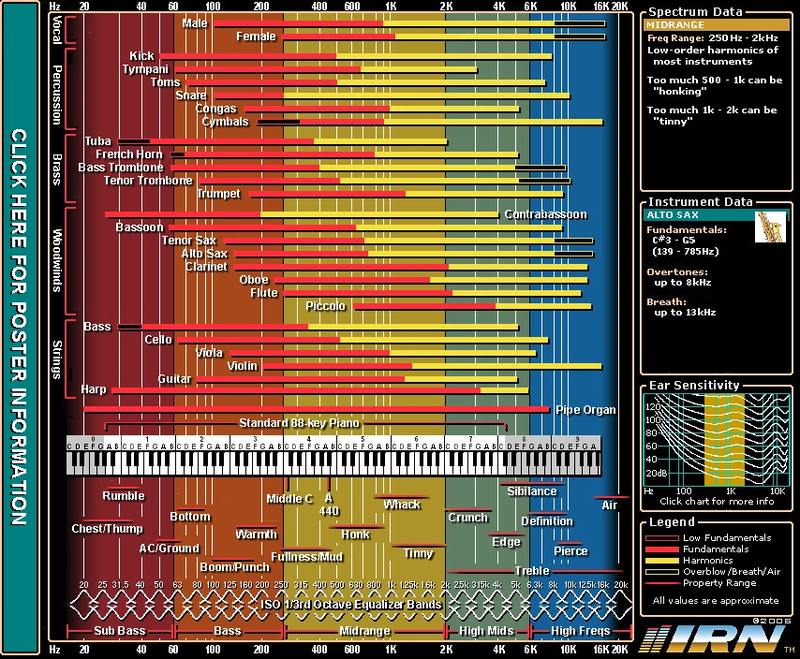 It shows major musical instruments and their frequency spread related to an 88-key piano. While the chart focuses on musical instruments, I found useful for sound effects mastering as well.